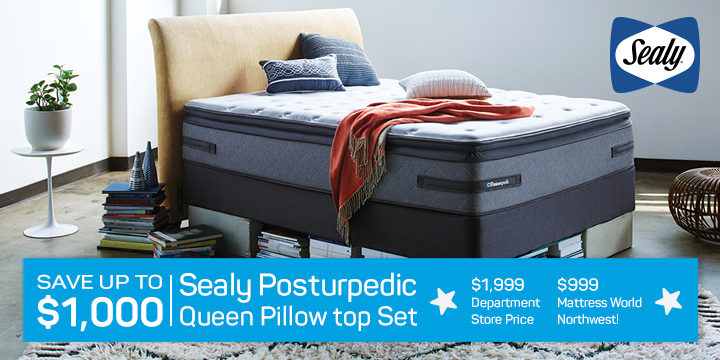 Does “uplifting comfort” and “floating on a cloud” describe your visions of a perfect night’s sleep? That’s exactly how our satisfied customers describe their latex mattresses. From blissful personal experience, we can report that a premium latex bed gives you pressure relief, excellent temperature regulation and promotes better body support … the benefits go on and on. Mattress World Northwest has a huge selection of latex mattresses at competitive price points. Whether you live in Jantzen Beach, Salem or downtown Portland, we are your number one source for quality latex mattresses by the industry’s most trusted brands. There are several types of latex mattresses, all of which offer distinct benefits when it comes to relieving back and joint pain, allergies, arthritis-related discomfort, and other common sleep disturbances. In broad terms, there is natural latex made from rubber trees, and synthetic latex that combines rubber latex with petroleum derivatives. Latex may either be used as a comfort layer on top of a coil base, or as a solid foundational slab. Since latex mattress jargon can be a tad confusing, here’s a brief explanation of the various types available. Beds that are billed as “natural latex” have been manufactured with fewer chemical additives and must contain at least 80 percent natural botanical latex. Some manufacturers offer 100% natural latex mattresses that feature a solid latex core. These models are recommended for people with chemical sensitivities and allergies and who value eco-friendly products. Just like natural latex, organic mattresses are made with the milky substance from the rubber tree. 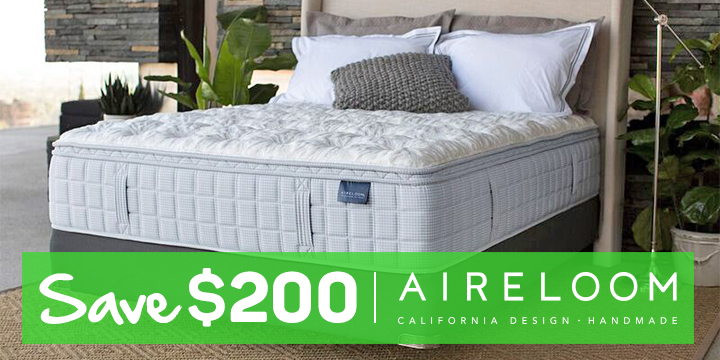 The difference is the oversight in the harvest and manufacturing processes, as all “organic” mattresses come with an official seal of approval that guarantees the bed is free of hazardous chemicals and man-made products. Some of the best organic mattresses available today are certified by Oeko-Tex and the Global Organic Latex Standard (GOLS). Latex foam is a catch-all term that may refer to natural or synthetic rubber, or a blend of the two. Synthetic latex foam is manufactured with petroleum derivatives in such a way as to create a wide array of firmness options, enabling you to customize your sleep experience. A latex foam mattress, unlike traditional memory foam, has instant rebound properties and does not retain body heat. 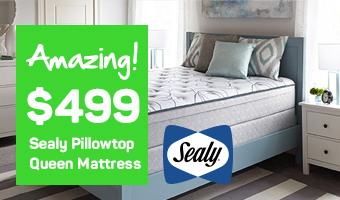 Dunlop and Talalay are the vulcanizing methods used to make a latex mattress, whether it is purely natural, synthetic or a combination of the two. Talalay is a slightly newer process that creates latex material of a slightly lower density and weight, preferable for those who desire a softer, more pillow-like sleeping surface. Alternatively, the Dunlop process creates a denser and more elastic latex ideal for maximum support and firmness. Because the Talalay process produces larger open cells, it is also linked to better ventilation. RESTFUL NIGHTS = PRODUCTIVE DAYS!!! No mattress on the market today gets such consistently high marks from buyers for reducing back pain, eliminating allergy attacks, holding shape over time, and combining a firm surface with a soft feel as latex rubber. But don’t just take our word for it–swing by one of our convenient Mattress World Northwest Oregon locations in downtown Portland, Canby, Salem, Clackamas, Wilsonville, Beaverton, Gresham, Happy Valley and more to test out the best latex mattress brands for yourself, such as Latex USA or, coming soon, OMI’s line of fully organic latex mattresses. This is a common question, but we always tell our customers the same thing: it all depends on your sleep style and preferences, as comfort and support are highly subjective. Purchasing a new bed is a big investment, which is why we encourage everyone who visits our Oregon outlets to try out as many models and brands as possible. We can assure you that latex mattresses consistently get 5-star rating for their body-conforming comfort, pressure-relieving properties and impressive durability. And unlike traditional memory foam, latex bounces back quickly and doesn’t trap body heat. Latex rubber is an uplifting support system, helping to promote proper spinal alignment while dramatically reducing pressure points, no matter what position you sleep in. Latex is arguably the most durable material found in the mattress market, outshining the competition when it comes to health benefits. Over the years we have collected many latex mattress reviews, all of which praise the support, comfort and durability of these sleep systems. Customers rate latex mattresses highly in terms of overall value, health benefits and fewer sleep disturbances. People love the resiliency of latex, how it springs back while changing sleep positions throughout the night. Latex beds are wonderful for relieving aches and pains caused by herniated discs in the neck or back, and are often recommended for those suffering with arthritis, fibromyalgia, allergies, and other medical conditions. This positive feedback is a testament to the importance of quality, restful sleep and how the right mattress can help you achieve it. Traditional coil mattresses or beds that have sagging centers can truly benefit from a natural latex mattress topper. Besides offering a whole new level of luxurious comfort, these toppers are also anti-microbial and great for people with sensitive skin. A latex foam mattress topper is reversible, helps distribute weight evenly and is available in 2, 2.5 and 3-inch thicknesses. Many neck pain sufferers find relief with a latex foam pillow. Unlike poly-filled pillows, latex foam is self-ventilating, and helps put the cervical vertebrae into neutral alignment. The result of this uplifting support is hours of comfortable, blissful sleep. Latex pillows never need to be fluffed up, last for 5 years or longer and are recommended for people who want medium-firm support. Latex provides the sensation of floating on a cloud, with just enough support to ensure a rejuvenating night’s sleep. We are proud to offer the best latex mattresses at unbeatable prices and backed by our signature Comfort Guarantee! We have showrooms in Portland, Canby, Salem, Gresham, Wilsonville, and elsewhere. Stop in for a comfort test and discover for yourself why so many people love their latex mattress. Be sure to ask about our special financing options and discounts on floor models!